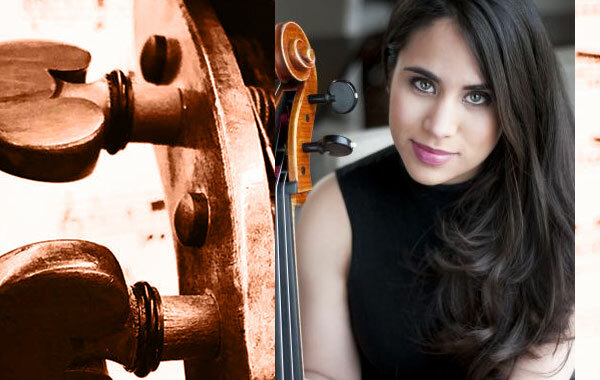 Hailed a “firebrand” (IncidentLight.com) and noted for her “supreme panache” (The Boston Musical Intelligencer), Columbian-American cellist Christine Lamprea was the First Prize winner of the 2013 Sphinx Competition. She joined the roster of the Sphinx Soloists Program and, as such, is presented as soloist with with major orchestras worldwide. She has received awards from the National Foundation for Advancement in the Arts, the Young Texas Artists’ Competition, and captured First Prize at the 2013 Schadt National String Competition. A winner of Astral’s 2013 National Auditions, Ms. Lamprea has appeared as soloist with the Costa Rica National Symphony, Houston Symphony, New Jersey Symphony, San Antonio Symphony, and toured with the Sphinx Virtuosi across the U.S., performing in venues such as Carnegie Hall and the Kennedy Center. Her engagements in 2016-2017 season include solo appearances with the Detroit Symphony and Oklahoma City Philharmonic. As a recitalist, Ms. Lamprea has appeared on pretigious series at Illinois’ Krannert Center for the Performing Arts, Florida’s Kravis Center for the Performing Arts, and the Washington Performing Arts Society. In demand as a chamber musician, she performs regularly with the Jupiter Symphony Chamber Players and has performed with such musicians as Shmuel Ashkenasi, Itzhak Perlman, Roger Tapping, and Carol Wincenc. In addition, she has premiered several works by composers at the Julliard School and the New England Conservatory. Ms. Lamprea is the recipient of a Paul and Daisy Soros Fellowship for New Americans, which supported her studies at the New England Conservatory and a Sphinx Power Artist Grant, which supports her study with acclaimed cellist Matt Haimovitz. She studied with Bonnie Hampton at the Julliard School and holds a Masters Degree from the New England Conservatory where she studied with Natasha Brofsky. Previous teachers include Ken Freudigman and Ken Ishii.